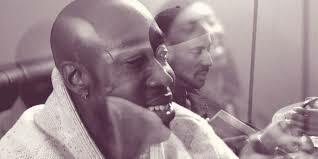 For the love of one of the greatest DJ’s J-Dilla, the latest Freddie Gibbs & Madlib collaboration – “City” feat. Karriem Riggins – is now available for free download via Adult Swim’s Summer Singles series following a premiere of the song at Rolling Stone. Madlib and Freddie Gibbs are finished with their collaborative album, Piñata, which is slated for release later this year. Guests on the album include “The Chef” Raekwon, Earl Sweatshirt, Danny Brown, Domo Genesis, Joey Bada$$, Ab Soul, BJ The Chicago Kid, Meech of Flatbush Zombies, Casey Veggies, Mac Miller, Polyester the Saint, G-Wiz. “City” was recorded exclusively for Adult Swim’s Summer Singles series, and was custom pressed as a 7” single on Madlib Invazion. The single fold-over sleeve, artwork on both sides, and is packaged in a clear plastic sleeve.